As 2013 draws to a close are you saying to yourself, “WOW! That was a brilliant year!”, “Thank God that’s over!”, or something in between? Either way, the end of the year marks a time for reflection and a chance to let go what’s gone before so you can move into the possibilities of a brand new year with hope and positive energy for creating more of what you want in your life. To give yourself a head start for making 2014 the best year yet I wanted to share a great exercise with you which is about connecting with what you’re thankful for. One of the most powerful ways for creating anything in our lives is to be in a state of gratitude. Reviewing what we’ve achieved during the preceding twelve months, and appreciating and accepting all that occurred has shaped us to make us who we are today, and that’s certainly worth celebrating! Celebrating your achievements and showing gratitude, no matter how small or inconsequential, has a wonderful accumulative effect because it means you are focusing on the positive, accepting what is and saying “yes” to life! So give yourself 20 minutes or so of quiet time. Check in with yourself and rate how good you feel on a scale of one to ten. Then, take some paper and just allow yourself to write from your stream of consciousness about all the things, big or small, that you’re grateful for. You might want to break it up into months if that helps, or look at specific areas of your life – family, career, health, finances, relationships, home, social life, accomplishments, learning, and so on. Keep writing until you can’t think of anything else. And when you’ve finished just sit for a few moments and notice how you feel. Notice how your energy has changed. Notice any key themes that show up in what you’re writing. Notice what insights come up for you. You might be surprised to discover that what you thought was a terrible year had all kinds of wonderful positivity threaded through it that could have lifted you up if only you’d put more attention there! We truly have so much to be grateful for! If you like that exercise and you feel a shift in your energy for the better then I would recommend you keep a regular gratitude journal as part of your daily practice. It will help you focus your mind on finding all the many and varied things in your life that make you feel positive. 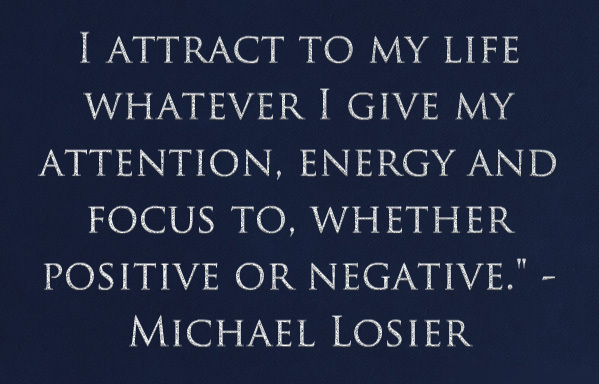 And of course, when you’re in a positive feeling vibration, Law of Attraction means you will attract more positive feeling experiences to you. It bring more of the things you are thankful for into your life by focusing on the positive. When you write down what you are grateful for, it puts things in an entirely new perspective. You start to realise how abundant your life is right now at this very moment. Expressing gratitude is good for your health, it reduces high blood pressure and reduces stress. It can help you manage anxiety and overcome negative thinking. Keeping a gratitude journal keeps you focused on all that is good in your life and subconsciously you begin to expect more good things. 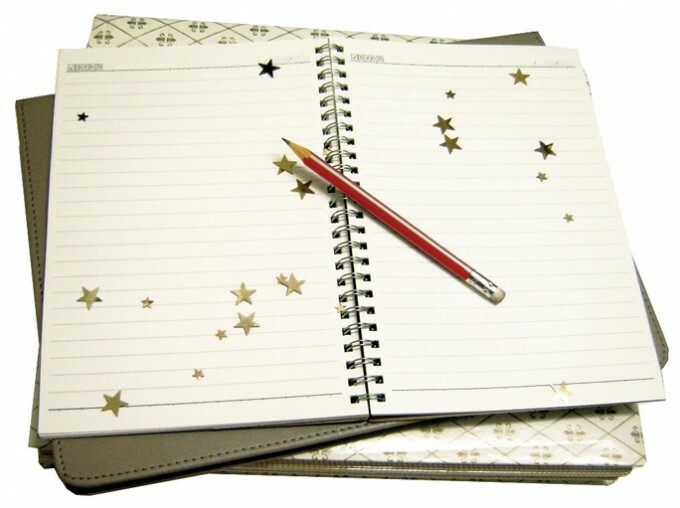 You can use a simple notebook or a decorative journal. Don’t worry about writing the wrong thing or any spelling errors. Give yourself permission to let your thoughts flow and write whatever you want without censorship. If you experience writer’s block, start by writing…”I am so happy and grateful for…” . You don’t have to fill pages every day but do try to do this on a daily basis. Make it a rule to write down a certain number of things you are thankful for and avoid repeating the same things. This will make writing in the journal more challenging as time goes on, but that’s how your awareness and thankfulness will grow. You’ll be challenging yourself to find new things to be thankful for that perhaps you never noticed before. Instead of just making lists of what you’re grateful for, choose a few things and explain how it makes you feel and why you’re grateful for it. This will put you into the feeling state that shifts your vibration, attracting more of those feeling states to you. For example – I am grateful for my home. My home keeps me warm and safe, and gives me the space to be creative and expressive. It gives me a sense of relief knowing that there is always a comforting place to come back to and that inspires me. Describe how you are grateful for yourself. You can start by feeling grateful to be alive at all. Then start writing about feeling grateful to have the body you have, even if you don’t like everything. Avoid the trap of being grateful for something that is better than what other people have. Instead, compare whatever you are grateful for with how you would feel if you didn’t have it at all. Think about your basic abilities, like being able to walk and see, and then progress to those unique skills that are special to you. Consider the people in your life. Think about all the people you care about, like your parents, your friends, your significant other, your pets. Write why you are grateful for each person and how they make you feel. This helps you to appreciate them more. It’s also good to write about the people that you don’t really like and find a reason to appreciate them. This might not be so easy, but it’s very uplifting to find the good in people we dislike and feel grateful for them. Write about situations and experiences. There are always situations that have made us happy somewhere in our past that we can draw on and lift our energy vibration. To remember to write in your journal keep it somewhere you’re sure to see when you have the most time, such as next to your bed so you can write in before you go to sleep, or somewhere else that’s easily to hand.